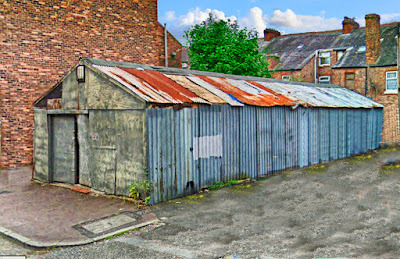 I bet plenty of people will have passed this corrugated iron shed without giving it a second glance or even a thought. But this slightly shabby and rusting building has a history which goes back way beyond its time as a garage. 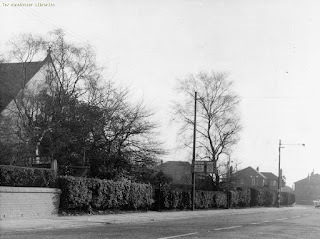 In 1899 at “a meeting held in the Hall, Wellington Avenue, Clarendon Road, it was decided to start a Sunday School and to hold Evening Service in the Hall, in the building which was to be erected on Withington Road at the corner with Wilbraham Road. That church was the Wilbraham Road Congregational Church which served its congregation until 1985 when it was sold, and became the Gita Bhavan Hindu Temple, which is still there today. 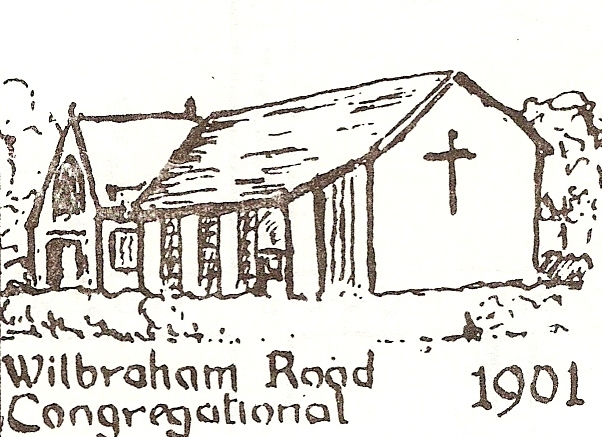 And contained in the story of the Temple will be a nod to the building’s earlier history as a Congregational Church, suffice to say in October 1972 the congregation joined with the Presbyterian Church to form the United Reformed Church and thirteen years later combined with St. Ninian's to become Wilbraham St. Ninian's. But for now it is that corrugated iron shed which offers up a story. I can’t yet date its construction but it will be between 1894 and 1899. In 1894 Wellington Avenue had not yet been cut and by 1899 we know that building was being used by the Alexandra Park Congregational Church. If the hall had a name back then, I have yet to discover it, but by 1903 it appears as the St Margaret’s Mission Room which by 1911 had become St Margaret’s Mission Church Sunday Schools. The good news is that the records of the church from 1899, through to 1985 are in the archive at Central Ref which will in time offer up many of the answers. And these will include when the Wellington Avenue building was finally sold and it became a workshop. 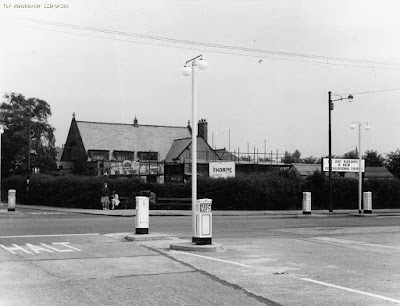 All of which just leaves me to make an appeal for information, stories, pictures or anecdotes on any of Chorlton's places of worship. You can leave a comment on the blog or message me or Peter Topping using facebook or twitter.